Infrastructure has always been a hurdle for any kind of development to reduce the ever increasing backlog of cases. 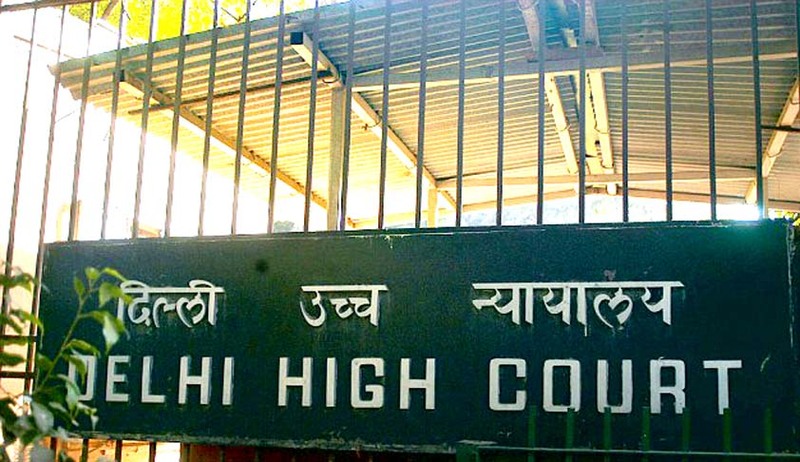 The centre has come to this realization now, with the Delhi High Court informing the Government that its ambitious plan to increase the strength of judges to 60 would require a proportionate improvement in infrastructure, staff and other facilities. TOI quotes a source who states that, "We have 33 courtrooms at present while process to create 12 additional courtrooms is at the tendering stage. But if we agree to the government's proposal to ramp up the judges' strength to 60, where will they sit? We will then have to form 27 division benches and only 6 single benches to accommodate all the judges in HC, throwing justice delivery mechanism into a tailspin". Increasing the number of judges on paper will be futile if adequate facilities aren’t provided. The current arrangement in the court provides for 10 single judge courtrooms and three division benches. Speeding up infrastructural developments will be the basic requirement for any kind of augmentation. Lack of judicial infrastructure has direct co-relation with efficiency of the judicial machinery. The Supreme Court of India in the case of All-India Judges Association vs. Union of India had directed constitution of District Committees, State Committees and Monitoring Committee at Central level to process the information and assist the Supreme Court to monitor and ensure development of infrastructure of subordinate judiciary. The compiled information submitted to the Supreme Court by Department of Justice shows that there are 762 proposals pending with State Governments for release of around Rs. 1000 crore as on 12 September, 2011. An estimated 2868 judicial officers are staying in rented premises and 2282 are staying in common pool quarters and 654 proposals are pending with State Governments for release of Rs. 421 crore as on 12.9.2011. The Department of Justice had collected preliminary data of requirements from states on infrastructure for sub ordinate judiciary and they total up to over Rs. 7000 crore (at 2010 estimates) and roughly therefore Rs. 5000 crores will be required in the next five years to complete the infrastructure for subordinate judiciary. The Apex Court in the case of Maharashtra Co-operative Court Bar Association v. State of Maharashtra had asked the Amicus Curiae Mr. FS Nariman to collect detailed state wise information regarding the existing infrastructure of judicial court buildings and residences in order to effectively implement Justice Shetty Commission’s recommendations in this context. The Performa forwarded by the Amicus Curiae disclosed the poor conditions of the existing infrastructure. At places there are poor toilet facilities; there are difficulties regarding non availability or poor conditions of libraries; electric supply and even drinking water problems are there. The information also shows that at many places, there are problems regarding electricity supply to the courts. It shows that as on February, 2010 out of 2903 subordinate court complexes only 562 has got generators. The Report of the Working Group for the twelfth Five Year Plan (2012-2017), in its report submitted in September, 2012 categorically noted that, infrastructural development of Courts needs urgent attention. Judicial infrastructure is a crucial component, which had been ignored for a long time, especially in respect of Subordinate Courts. It is the responsibility of both the Central Government and State Governments to treat this as an area of prime concern to improve justice delivery. It suggested a Judicial Impact assessment system to be put in place before the Courts are called upon to adjudicate on the rights and liabilities of the citizens under a new statute. It shall be mandatory for the States to provide necessary judicial manpower and infrastructure development for the same. To manage the various programmes especially infrastructural development programmes, model courts and other reform initiatives, a Programme monitoring unit in each State was proposed to coordinate between judiciary and executive. A Mission Mode programme for development of infrastructure facilities for subordinate judiciary was laid down in the report. Justice P. Sathasivam, in his key note address at the South Zone Regional Judicial Conference on Enhancing Quality of Adjudication also attributed the backlog of cases to lack of adequate number of courts and infrastructure. A division bench of Justice Abhay Oka and Justice Amjad Sayyed of the Bombay High Court, in April this year addressed the same issue and provided a deadline of September 12 for the State Government to provide infrastructure and staff to district consumer forums across the state, while hearing a public interest litigation filed by Mumbai Grahak Panchayat, a leading consumer NGO. The infrastructure for proper implementation of the Information Technology Act, 2000 has also been termed as a big let down by several jurists. In May this year, on the basis of a study, the Law Ministry came up with a scheme for the increase the number of judges in all high courts in the country. It proposes to increase the strength of HC judges by 25% which works out to 60 for the Delhi high court while its existing sanctioned strength is 48. All these issues need to be addressed before implementing any scheme for increase in the number of judges at any level of the judiciary.